Smile, you are on camera. C3 Communications uses the latest and most effective technology to provide a secure facility that is easily managed and accessed. Video surveillance, access control, and detection notification keep you aware of the setting and provides protection for you and your staff. C3’s surveillance and monitoring service is by far one of the best in the nation for business security systems. We have secured prisons and schools with our state of the art tech. 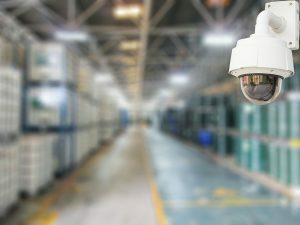 Our CCTV / IP Surveillance Systems have helped keep school systems, e-commerce fulfillment centers, and small to large private businesses safe and secure. C3 has installed hundreds of systems for our education, private sector, and government clients. C3’s team of experts will design and deploy a comprehensive video surveillance system, using top of the line equipment and applications available to help you keep an eye on your facility. The business security cameras provided by C3 and our business partners will be top of the line. Additionally, we do have a good, better, and best option for any business video surveillance budget. C3 will assist you in deciding which video surveillance system options are best for you. Those options will include camera, lens, software, and storage needs to fit your specific project. If you are looking for a system to protect your staff, property, or just to monitor your business and staff, our surveillance options can provide the newest and latest technologies that will make any old school analog system seem obsolete.